THE man who survived 12 hours in rough seas after the fishing boat he was in capsized and sank off the Queensland coast will today be reunited with his family. Ruben McDornan touched down in Gladstone around noon today after being flown from Agnes Water on a government rescue helicopter. He had been helping the search efforts for six crewman who have been missing since the tragedy on Monday night. Hopes of finding his six mates feared drowned are fading fast. Search for 6 missing from trawler continues: Weather conditions are still hindering search efforts. 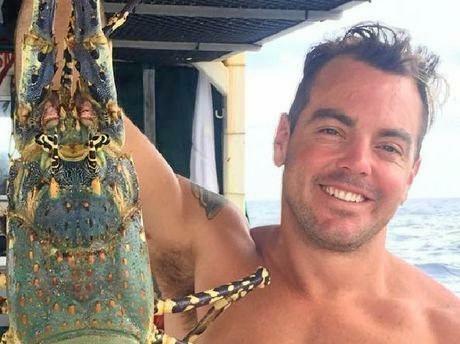 Ben Leahy, 45, Eli Tonks, 33, Adam Bidner, 33, Zach Feeney, 28, Adam Hoffman, 30, and Chris Sammut, 34, had worked together for years, gathering sea cucumbers off the Queensland coast. Mr McDornan's wife Sammy yesterday tearfully described the missing six men as "like family'', as she arrived in Gladstone to reunite with her husband. He miraculously survived after a passing catamaran found him floating in a bay after 12 hours in the water, with his wife describing him as "sore but OK''. "We're so grateful that he (Ruben) is alive,'' she said. "But our thoughts are with the boys missing at the moment because they're all like family, so we just need everybody to keep positive for them. Friends described the men - who were all fit and experienced divers - as a close-knit crew who were inseparable, both at work and socially. When not working, they were known to love spending weekends together fishing and drinking beer. The distraught relatives of the six men emerged from a police briefing late yesterday in tears as the chances of survival plummeted. Family gathered at Gladstone police station - where the search was being co-ordinated - for a private briefing in the afternoon and were overcome with emotion when they left at 4.30pm. Experts had told police they had until the end of searching yesterday to find the men alive if they were in the water unsupported. The deadline passed with only debris from the capsized trawler discovered. Search and rescue co-ordinator Sergeant Jeff Barnett said another day of severe weather had hampered the search yesterday, with poor visibility and helicopters repeatedly forced back to base. "On advice from our medical team, they tell us towards the end of the afternoon the chances of survival unsupported is negligible," he said. "The best-case scenario is that we find six people in a life raft. "That's what we're aiming for at the moment, but it's not looking real promising." There was no indication that the life raft had been deployed by crew, police ­conceded. The search was expected to continue today but conditions were this morning too rough to send divers in. Conditions are expected to improve by noon. Two helicopters, 12 vessels, two fixed-wing aircraft, and beach patrols including ATVs and an amphibious vehicle were expected to be involved in the search today. Yesterday, six vessels, six helicopters, a fixed-wing aircraft and an amphibious vehicle were searching around Bustard Bay, near the Town of 1770, where the trawler Dianne is believed to have sunk. Private vessels joined the search and relatives were even considering a search. They pleaded for any additional resources to be thrown at the rescue effort yesterday. 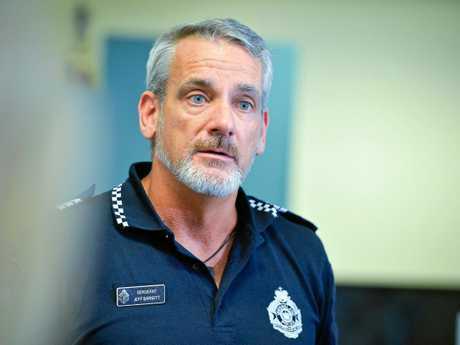 A tracking system on the Dianne enabled police to ­pinpoint its movements before it capsized. On Monday afternoon, the trawler left Bundaberg heading north and issued its last signal at 6.30pm. It is understood Mr McDornan clung to the capsized trawler for up to six hours before it sank and did not see any of his crewmates emerge. He was found the following morning by four people in a passing catamaran who heard his panicked screams for help. The search started on Tuesday in an area of 100 square nautical miles and had "grown closer to 300", Sgt Barnett said. 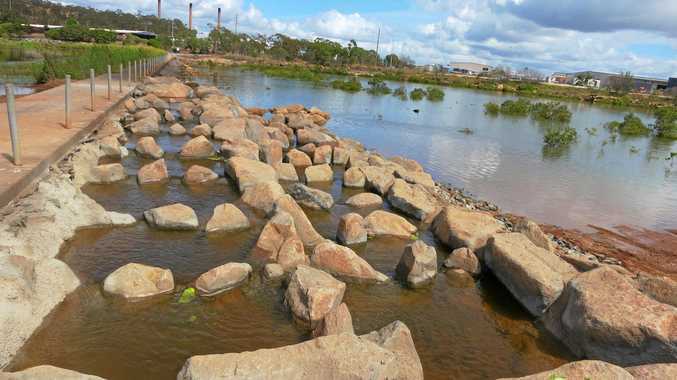 "That spans basically from Agnes Waters and 1770 through to the bottom edge of the Gladstone Harbour. 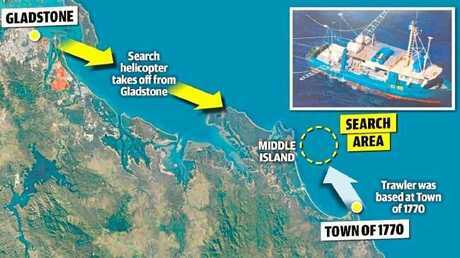 "Today just after lunch we've started commencing searches of the island areas within the Gladstone Harbour." The conditions were "not very favourable for a good search" and had worsened during the day. "A couple of times this morning where aircraft were able to get up they were immediately forced back. That's hampered us quite considerably." The search is now due to move to a different phase. "Once the time frame for survival has expired we will maintain a search for potential survivors in the hope they have managed to get to an area we haven't got to. That will ­continue. "At this stage planning is under way for continued air and surface searches, but it will be on a slightly different scale in slightly different areas, depending on weather and what information comes with regard to debris and drift. "We have already started planning for the search and recovery phase." Police divers would be in the water by tomorrow. Inspector Darren Somerville said relatives were "very upset and shocked" and had been briefed in person and over the phone. "They're trying to do the best they can," Insp Somerville said. Police could not get people into or out of 1770, with roads expected to remain cut by floodwaters for a couple of days. The families issued a statement through police ­expressing appreciation for the efforts of searchers and for the thoughts of the ­community. "They ask for privacy and compassion during this extremely difficult time," the statement read.